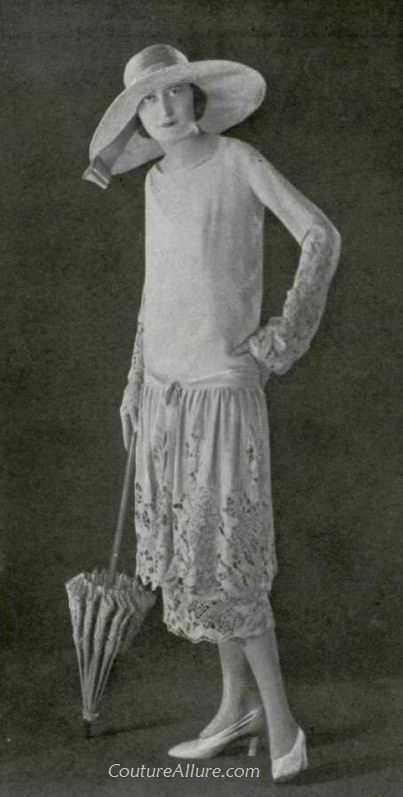 Molyneux fashions the perfect summer frock for Spring, 1925. Turquoise silk crepe is accented with beautiful tape lace in the two-tiered skirt and sleeves. Note on the hat how the ribbon is attached under the brim instead of on top, where you'd expect.